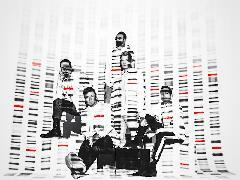 Buy tickets for Backstreet Boys: DNA World Tour at Arena Birmingham on 15/06/2019 at LiveNation.co.uk. Search for United Kingdom and international concert tickets, tour dates and venues in your area with the world's largest concert search engine. Seated: Under 14s need a guardian. All visitors with disabilities attending concerts are advised to call our Dedicated Ticket Line for disabled visitors on 0844 581 0700 when booking tickets. Our dedicated ticket line is open 24 hours a day, 7 days a week. Please inform us at the time of booking if you need a wheelchair space or have any special requirements, so that we can arrange for everything to be ready on your arrival. We will also help you find the most convenient seating for visitors with visual impairment. Assistance dogs are welcome at our venues, but owing to sound levels involved, we recommend that you do not bring Assistance Dogs to concerts or other loud events.